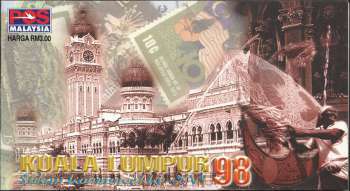 No known information about this particular booklet and it was not listed in the Malaysia's specialised catalog either. Stamps, however, are showing toning can be seen from reverse. Dear Lim Lik, thank you for your comment. It is quite interesting to learn more about CG1998. When you mentioned Issue No. 3, it means that there are Issue No 1 and Issue No 2. 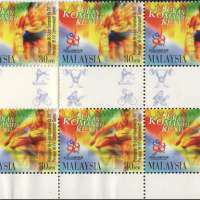 This stamp booklet for 1998 Commonwealth Games Pr Issue no. 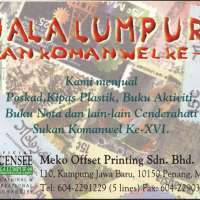 3 was prepared and issued MEKO Offset Printing Sdn Bhd an Official Licensee of 1998 Commonwealth Games and not by POS Malaysia.